Favoured throughout history by royalty, Clumber spaniels are still treasured for their tenacity and temperament, discovers Matthew Dennison. Photographs by Sarah Farnsworth. For the Clumber spaniel, 2017 has been a year to celebrate. The fortunes of these handsome, muscular, lemon- and orange-marked white gundogs have languished since the Second World War. Annual puppy registrations currently hover around the 200 mark. By comparison, The Kennel Club registers some 30,000 cocker and springer spaniel puppies every year. This spring, however, for the first time since 1911, a Clumber spaniel won an any variety field trial. When three-year-old Midori Diamond Huddlestone, known as Rigg, triumphed over 15 springers in the novice stake of the Tyne Tees and Tweed Field Trial Association, he became the first Clumber any variety field-trial winner for more than 100 years. Press coverage of Rigg’s success added to high-profile owners, including The Princess Royal, president of the Working Clumber Spaniel Society, and the Archbishop of Canterbury, whose four-year-old Clumber is called Bramble, has contributed to renewed interest in this historic British breed. Today’s Clumbers are descendants of the stocky, marmalade- and liver-splashed white spaniels bred and trained for the 2nd Duke of Newcastle by gamekeeper William Mansell, at Clumber Park in Nottinghamshire, in the last quarter of the 18th century. A handful of these dogs is visible in The Return from Shooting, a painting of 1788 by Francis Wheatley, in which the Duke, William Mansell and Newcastle’s friend Col Litchfield are depicted in an autumn landscape with gamekeepers and springer-type spaniels. Tradition invests these first Clumbers with a French pedigree. Their progenitors were reputedly dogs given to the Duke by the duc de Noailles, a picturesque tradition unsubstantiated by material in the papers of either the Newcastle or Noailles families. Whatever the truth of their origins – and it may be, as has been suggested, that the distinctive heavy doughtiness of the Clumber shape arose through the inclusion of some hound blood in Mansell’s breeding programme – the breed’s early popularity is attributable to Newcastle’s sponsorship: dogs from Clumber Park made their way into the Duke of Portland’s kennels at nearby Welbeck Abbey and those of the Foljambe family at Osberton Hall near Worksop. Members of the Foljambe family afterwards bred some of the first Clumbers entered in dog shows. In her journal for October 1840, Queen Victoria recorded a walk in the park at Windsor with Prince Albert and ‘his seven fine Clumber Spaniels’: ‘We went into the Slopes… in order that I should see how the dogs found out the game; they are such nice, dear dogs.’ The Prince bequeathed his fondness for the breed and his habit of working them as a pack to his eldest son and grandson; Edward VII and George V, both keen shots, each kept a number of Clumbers in the kennels at Sandringham. In one contemporary account, it was the breed’s suitability for working in groups that particularly attracted George V, his favour ‘largely attributable to their special suitability for the covert shooting in which His Majesty delights and to the fact that the clumber, almost alone of shooting dogs, can be worked in packs’. 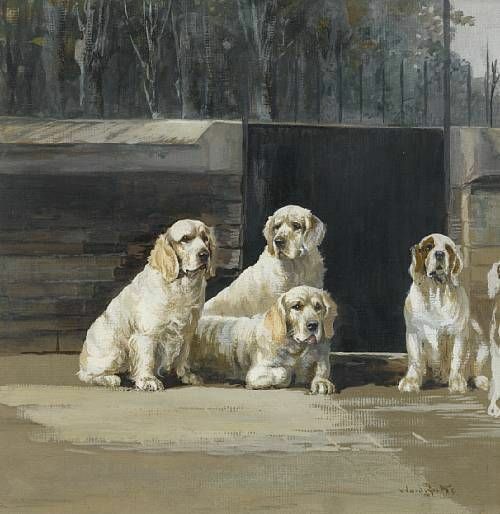 Dog painter Reuben Ward Binks placed the King’s favourite, Sandringham Susan, in the centre of his charming George V’s Clumber Spaniels at Sandringham, a portrait of six royal Clumbers painted in 1930. Today, few owners are able to accommodate packs of working dogs on this scale. In addition, those Clumber breeders who preserved the breed from extinction in the years after the Second World War contributed to the development of an increasingly heavy, slow-moving spaniel lacking athleticism and unsuited to working coverts.  Without any working purpose, the breed experienced a sharp decline in popularity from which it has yet to recover fully. Mrs Griffith identifies Finn’s complete lack of aggression as a typical Clumber trait. His slow determination is also typical, although, for some owners, it comes close to stubborn-ness and Mr Smith-Bodden suggests that puppies can be slower to train as working dogs than other spaniel types. Mr Smith-Bodden and his wife, Jane, currently have six Clumbers, including Rigg, whose performance in the field he describes as ‘poetry in motion’. Beyond the dogs’ adroitness in putting up or retrieving partridge, pheasant and duck and their gentleness, loyalty and affection, the Smith-Boddens, like other owners, admire the Clumber’s gorgeous good looks. Mrs Griffith waited many years before she was able to acquire one of her own. ‘Somewhere, there is a 19th-century painting of Clumbers in the heather,’ she remembers. ‘I’d always rather wanted one.’ The long-awaited Finn, rehomed from a keeper on Anglesey, is a ‘very beautiful white and ginger’. It’s not entirely true that Clumbers are silent dogs. Despite their quietness when working, they have a distinctive singsong woo woo bark that Mrs Chilvers tells me delights her sons and with which Clumbers typically greet their owners each morning. It seems characteristic of these gentle, patrician spaniels that even their bark should be mellifluous and winning. Sacrebleu! It seems that Britain’s top dog is a French bulldog.